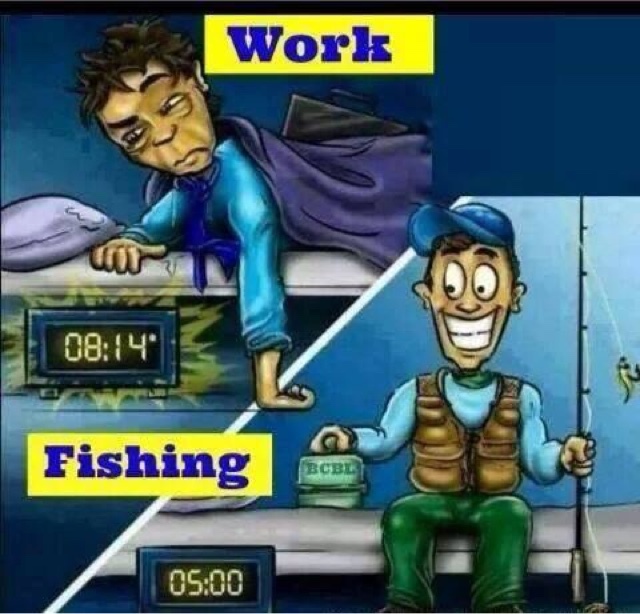 With striper season getting into full swing we are going back to 5 AM opening on Saturday's and Sunday's. The rest of the week will remain 6-6. 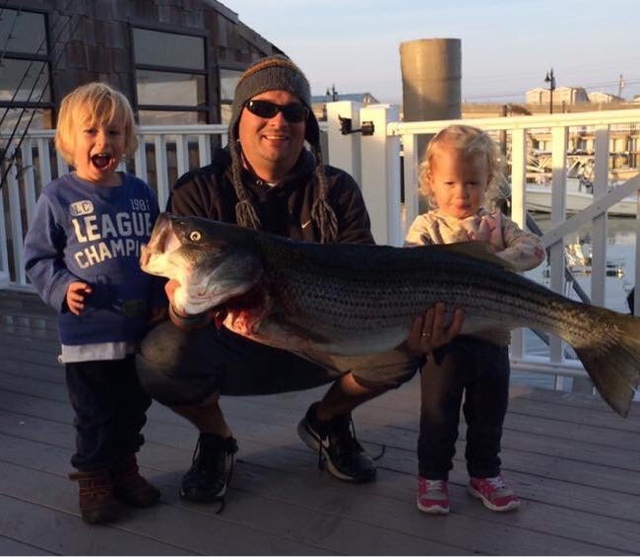 While everyone else is reducing their hours or closing up for the season Sea Isle bait and tackle is here for you. All hours are weather permitting. 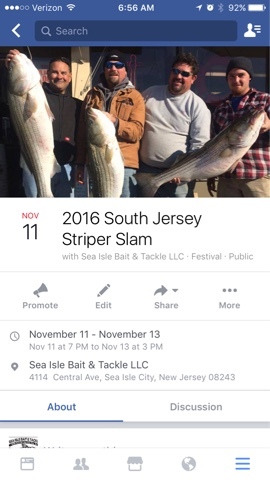 Don't forget this is the last weekend to sign up for the South Jersey striper slam. Sign-ups will continue until the captains meeting Friday night but this is the last weekend to get in here and sign up. 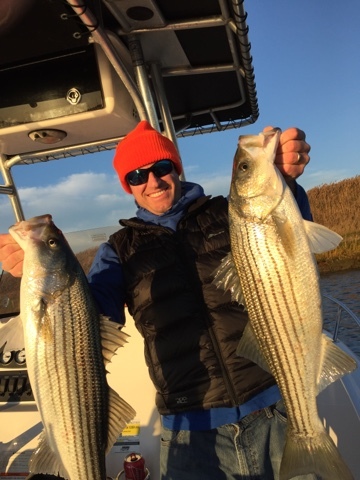 The striper activity is picking up daily and it looks like they should be biting great by next week. Nick ran up the beach today and found the big ones. Here we go things are about to break wide open. Tog fishing has been great lately wile you are only allowed 1 it is still a blast. 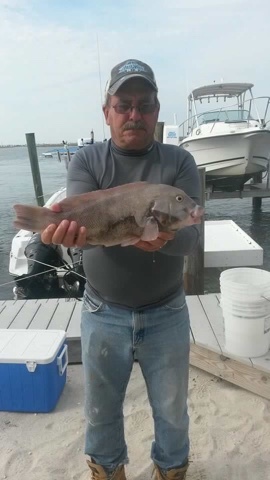 Dave nailed this one over the weekend off his dock.